All three boys are home. Two are in bed. One is going to stay up all night. Writing an essay. Which is new for me. Potentially, just one grumpy child on a holiday. It's been a fabulous day. Well, maybe not the whole day. I didn't get HALF of my to do list at work done. At 4 pm, I just walked away. And left a mountain of papers and files and notes and cards and lists and spread sheets all over my desk. I hope I don't die on this trip. NO ONE will be able to figure out where I'm at with any of the projects I'm working on. The most important things got done though. Another gala celebration is taking place on Saturday. All the details got dealt with. Yay for planning 3 parties the size of weddings in 4 weeks. At 4:15 I met my realtor and parents and walked through two potential homes. By 5:30 pm, I was able to strike both of them off my list. Back to waiting for the perfect house. I'm OK with that. At 6:00 I had dinner with dad and mom and then at 7:00 pm? Danica's Hair Show! All the stylists in her class put on a fun show, and she did great. Her models looked stunning - their hair was incredible. By 10 pm, all the boys were home, and I started doing my laundry. I just love having the kids around. AND THAT'S WHY TODAY HAS BEEN FABULOUS. 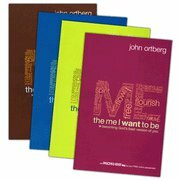 The Me I Want To Be, by John Ortberg. It comes in a variety of colors. Mine is a green copy which matches my green rain jacket EXACTLY. Clint noticed how coordinated I am, sitting here in my rain jacket with my book beside me. That's why I like having the kids around. They notice the extra measures I go to. Anyways, we are doing 2 chapters PER MONTH, so it'll be easy to keep up with the rest of the class. "Your life is God's project. He thought you up, and He knows what you were intended to be.. He delights everytime you grow. He has many tools and is never in a hurry. "God doesn't make anything and then decide to throw it away. He creates, and then, if there is a problem, he rescues. Redemption always involves the redemption of creation." "It is humbling that I cannot be anything I want. I don't get to create myself. I accept myself as God's gift to me ..."
And the best part in that first chapter? 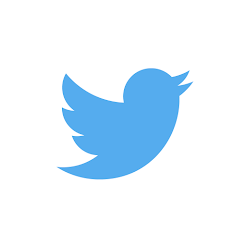 "How is your spiritual life going? I used to answer that question by looking at the state of my devotional activities: Did I pray and read the Bible enough today? The problem is, by that measure, the Pharisees always win. People can be very disciplined, but remain proud and spiteful. How do we measure spiritual growth so that the Pharisees don't win? I asked a wise man: How do you access well-being of your soul? 1. Am I growing more easily discouraged these days? 2. Am I growing more easily irritated these days?" Don't you wish you did book studies at your place of work? 1. I'm sitting beside a son, he's typing on his laptop, I'm typing on mine. All is well. 2. My mom's opinion on houses I was interested in. 3. Nothing but fun on the horizon. Thank you God for long weekends and much to celebrate.